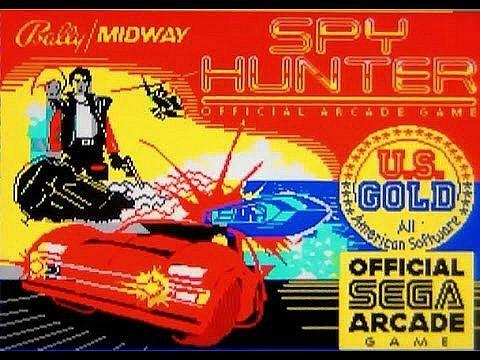 Spy Hunter was developed by Bally Midway and first released to the arcades in 1983. 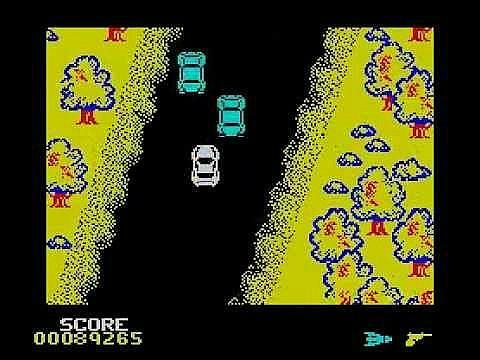 It was one of those action-packed computer games which allowed you to release all of your pent-up teenage anger. It was certainly a blast, and the joy of wiping out as many vehicles as possible was truly exhilarating. However, the gameplay wasn't quite that straightforward. You were heavily penalised for destroying civilian vehicles and your enemies were out to destroy you, too, of course! You started the game in a G-6155 Interceptor, and during each level you would either force your enemies off the road or simply use one of your weapons against them. There is also an annoying helicopter who would insist on trying to drop bombs on you. These bombs also created craters in the road which you also needed to avoid like a turkey raised near Sellafield. 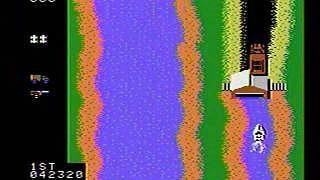 You viewed the game from an overhead perspective with the road scrolling from the top to the bottom of the screen. Occasionally you would encounter a fork in the road, and you had to quickly decide whether to go left or right - these would lead you to new types of terrain and different weather conditions. A weapons van would also appear from time to time and you could only enter it by pressing the flashing button labelled, erm "weapons van" - at least it does what it says on the tin! Here you could purchase smoke bombs, oil slicks and my personal favourite, surface-to-air missiles. At last! I could now destroy that damn helicopter, although, unfortunately, you only had limited ammo - killjoys! Another pleasurable moment in the game involves swapping your car for a super-fast boat - after you enter the boat shed. Obviously, the terrain now features a river and only a complete buffoon would try to use a boat on the highway! The background music was an electronic computer chip version of the theme tune for the late 50's US private eye TV series Peter Gunn by Henry Mancini - he's best-known for the jazzy Pink Panther theme music. The arcade version of the game was very successful and was ported to most of the 8-bit consoles and home computers. Apparently, the NES version featured dire collision detection which occasionally allowed the player to drive over just about any object. 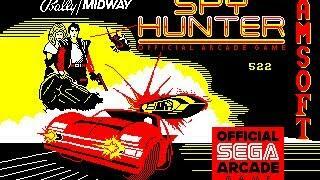 Spy Hunter was also released as a pinball game by Bally in 1984. In 1987, an unsuccessful follow-up, Spy Hunter II, was released and although it was graphically more realistic (a 3D element was added to the overhead view) the game was very awkward to play. In fact, many would consider it to be the worst video game sequel of all time! The video (above) compares lots of different versions of the original 8-bit console and home computer versions of Spy Hunter - which is your favourite? Screenshot from the ColecoVision console version. The player's boat is leaving the river and is about to enter the boat shed to be replaced by a road vehicle.